We present the first trailer of a new indie project co-produced by two very distant countries: New Zealand and China. Made entirely in computer graphics, the film is titled Mosley. The project will be presented at the next European Film Market in Berlin (February 7-15) this co-produced project between the New Zealanders Huhu Studios and the Chinese China Film Co. and China Film Animation, a project financed with a budget of $20 million and a development of almost twenty years. The project is written and directed by veteran Kirby Atkins, artist with experience from Laika to Weta Digital, director of some episode of the series The Adventures of Jimmy Neutron: Boy Genius. Synopsis: What if an animal working under oppressive circumstances could suddenly stand upright and rebel against his master? Thoriphants are pack animals, living an arduous life under the oppression of their cruel owners. But one family discovers an ancient secret that turns their world inside out. Thoriphants were not always four footed. They once walked upright and had hands. What caused this devolution? Do the uprights still exist? Courageous Mosley sets out to find their ancient city, but will a hired bounty hunter find him first? 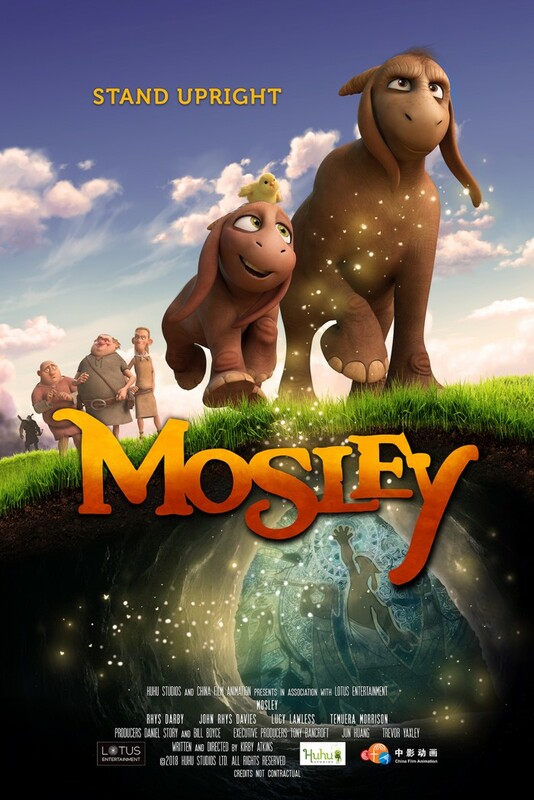 Mosley and his adorable son Rue must learn to face their fears and unlock the secret magic that can transform them into powerful uprights.